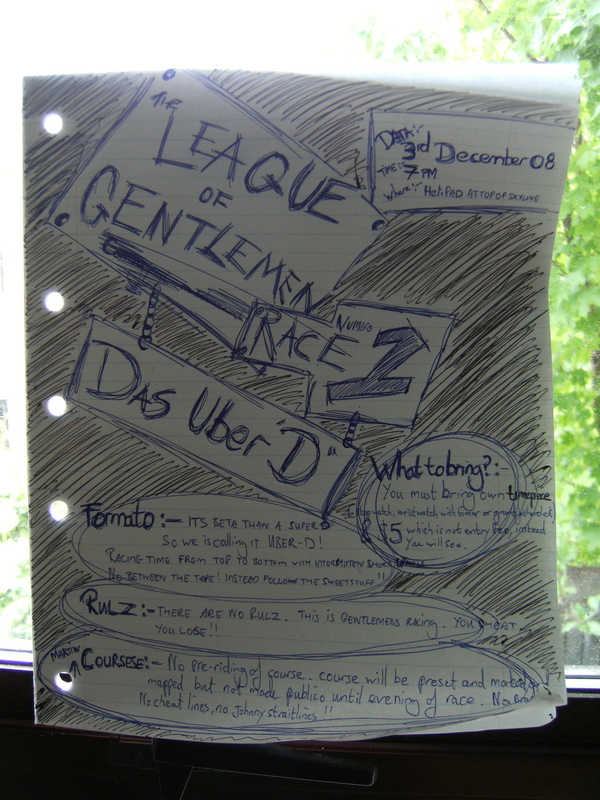 The original flyer. It's amazing what a biro can start. So the LoG Kiwi Chapter is kicking off over in Queenstown for its second year. This year after months of selections and voting which can be seen on the reality docu “Who wants to be the new Seb Kemp?”, Graeme Cooper was selected to be the new king of the Queenstown chapter of the LoG. December 10, 2009 in LEAGUE OF GENTLEMEN, LOOK AT ME MOM!, N-ZHRED.